International users impatiently tapping their feet and glancing at their watches in expectation of the iPad’s arrival will have to twiddle their thumbs a little bit longer. 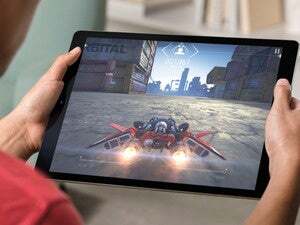 In a statement issued on Wednesday, Apple said that it would delay the international launch of the iPad until the end of May. Pre-orders for interntional shipments will now begin on Monday, May 10, at which point Apple will also announce pricing for the device outside the U.S. The reason behind the delay? You can thank the iPad’s immense popularity. Apple says it’s sold more than 500,000 iPads during the first week of the device’s availability; unexpectedly high demand is apparently outpacing supply and will continue to do so for the next several weeks. Those U.S. customers who have pre-ordered iPad 3G models should still get them by the end of April, however. To assuage international customers’ disappointment, Apple offers the heartening fact that the iPad is “a runaway success in the U.S. thus far.” But that’s ice-cold comfort to those who now find themselves waiting another month to even see the device in person.